"Cold Steel - indestructible knives with super steel capable of undertaking any adventure!" Many adventurous teenagers during the 80´s including my self have had wet day dreams about more than one of this American knife manufacturer's many knife models. 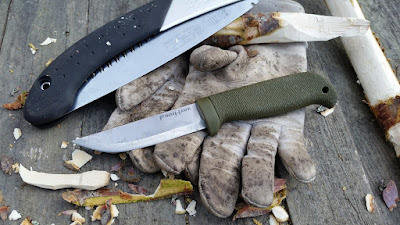 My first Cold Steel was the Master Hunter I carried throughout my military service. Since then I've gotten acquainted with several of the products that the enthusiastic Lynn C Thompson and his crew so passionately develop in California. 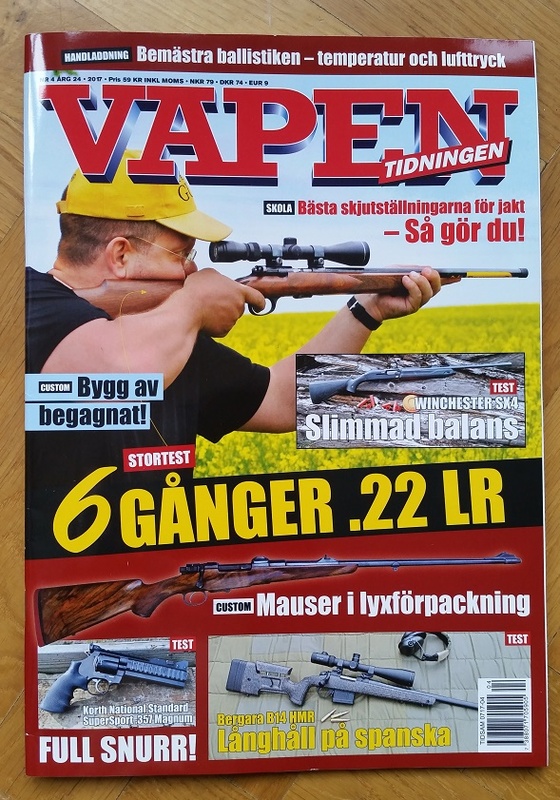 In the latest magazine from Vapentidningen (No.4 - 2017) you can read my article on the Cold Steel Finn Hawk. It's a robust all-round knife with rubberized handle and a Scandinavian edge profile. 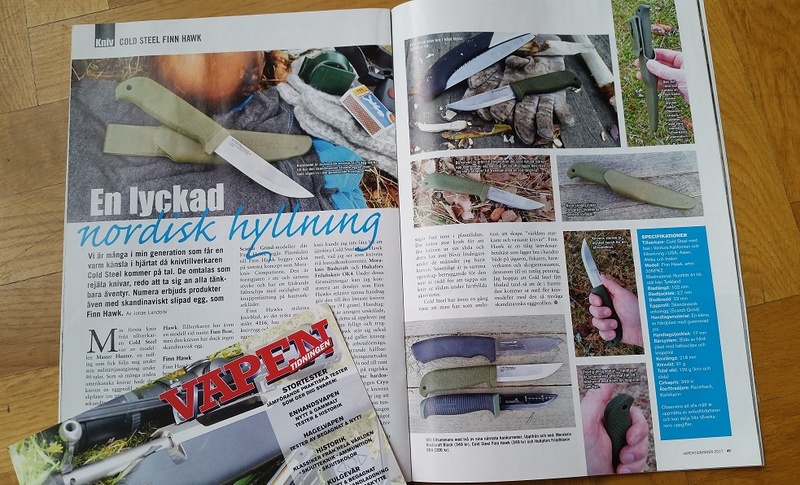 You can tell that the knife maker Andrew Demko has been influenced by our Swedish crafting and outdoor knives when designing the Finn Hawk together with Cold Steel. The Finn Hawk is a price-worthy lightweight work horse that fits nicely in the hands of hunters, fishermen, handymen and outdoor enthusiasts. 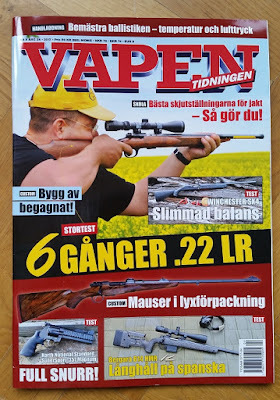 Inside this issue of Vapentidningen you also can read interesting articles like; .22 LR rifle test (Tobias Hassel & Henrik Kalling), tips on how to improve your hunting shooting (Thomas Haugland) and some inspiration on how to customize your old hunting rifle (Johan Ljungné). Enjoy!